Health insurers fear they will be on the hook for greater healthcare costs if the CMS finalizes its proposal to allow states to define their own essential health benefits starting in 2019. In comments to the CMS, insurance companies that sell plans on the individual and small groups markets also said that giving states the ability to update their benchmark plans annually would confuse consumers and undermine the markets' stability. 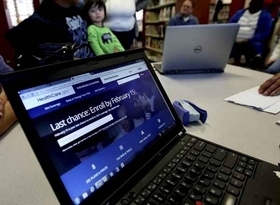 The proposal "may lead states to expand benefits under their benchmark plans without defraying the costs of such benefits, increasing the cost of coverage," national insurer Anthem said in a comment to the CMS published Monday. The insurer has drastically scaled back its 2018 participation in the ACA exchanges. In late November, the CMS proposed allowing states to define the essential health benefits that health insurers in the state must offer, rather than having the federal government define those 10 benefits. In its proposed notice of benefit and payment parameters for 2019, the CMS suggested letting states either adopt another state's 2017 benchmark plan; pick and choose a few elements of another state's benchmark plan; or completely build a new essential benefits package from scratch so long as the new plan is not more generous than it is currently and is in line with a "typical employer plan." The benchmark plan defines what benefits insurers in the state must offer. The agency said states could make changes to the benefits each year. But Centene Corp., the dominant exchange insurer with more than a million individual marketplace members, said allowing states to reconfigure essential benefits annually would be "more of a burden than a benefit to the market." The proposal is a major departure from the current requirement that all individual and small group health plans provide coverage for 10 benefits defined under the Affordable Care Act. Those benefits include emergency services, hospitalization, prescription drug coverage, maternity care, and care for mental health and substance abuse disorders, among others. With the change, the CMS aims to give states more flexibility that could potentially lead to more affordable health plan options in 2019. But health reform experts worried that the added flexibility would lead to a proliferation of less costly, albeit much skimpier plans on the market. Major health insurers, on the other hand, fear states would somehow expand the benefits health insurers must offer, causing insurers to spend more on medical care, according to comments submitted to the CMS. All comments are due by the end of Monday. Molina, Kaiser Permanente and the Blue Cross and Blue Shield Association echoed Anthem and Centene's concerns. In its comment, Molina expressed concern that the added flexibility "opens up EHB categories to be influenced by special interest groups and state regulators rather than what is medically necessary." Oakland, Calif.-based Kaiser Permanente, which owns Kaiser Foundation Health Plan, in a comment said it opposes using "a typical employer plan" as defined by the CMS as a yardstick for the essential health benefits. In its proposed rule, the CMS said the package of essential benefits must be in line with a "typical employer plan" in the large or small group market with more than 5,000 enrollees. But self-funded employer plans are usually anything but typical and are often customized to fit a specific population, Kaiser Permanente said. By using a large employer plan as a yardstick, states could potentially choose an atypical plan with 5,000 enrollees that excludes coverage for transplants or coverage for HIV or AIDS as their benchmark, and that plan would be considered typical under the proposed CMS rule, explained Dania Palanker, assistant research professor at Georgetown University's Center on Health Insurance Reforms. Aetna, however, broke with the group and said it generally supports the CMS' proposal, though changing the benchmark plan every year would cause too much unpredictability and lead to market instability. "We appreciate HHS' efforts to expand state flexibility and preserve states' traditional roles of making the best choices for their health insurance markets," Aetna said in a comment.